US music industry revenue figures are in for the first half of 2018. It turns out streaming’s only gaining more and more strength even versus where it stood in 2017. 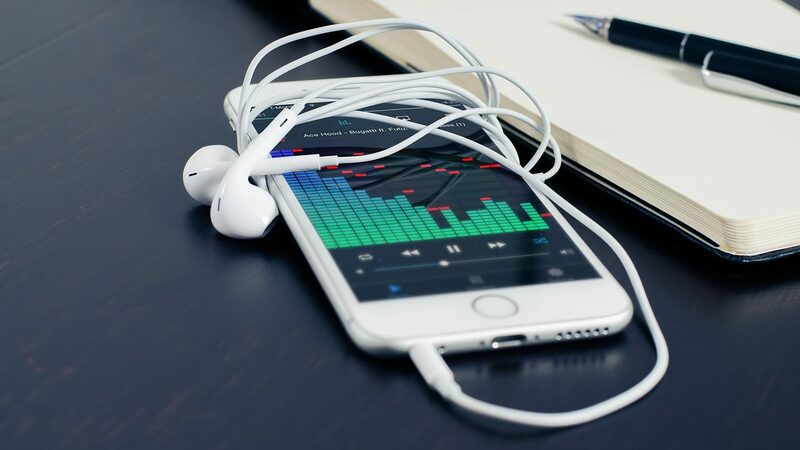 For the first half of 2018, streaming services made up a whopping 75% of US music industry revenue, according to the RIAA. Of this, revenues from streaming grew 28% year-over-year, pulling in $3.4 billion. Paid subscriptions made up three-fourths of the above $3.4 billion; this makes the music industry’s hand-wringing over free tiers feel overblown. Meanwhile, revenue from digital downloads (i.e., traditional iTunes or Amazon MP3 purchases) and physical media (CDs and records) continue to decline. During the first half of 2018, digital download and physical media revenue dropped 27% and 41% respectively. The two categories made up 12% and 10% of total revenues respectively. And no, the vinyl record craze isn’t helping. For digital downloads, the RIAA says revenue is at its lowest point in over a decade. 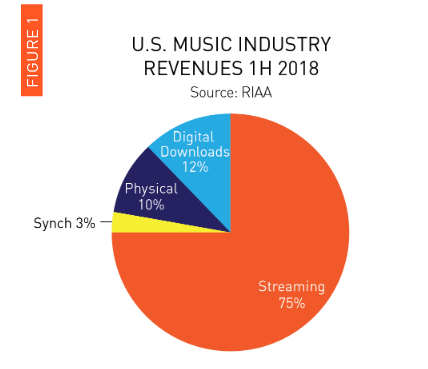 Here’s a chart from the RIAA’s report (a PDF) outlining music industry revenue for the first half of 2018. Note the “streaming” category includes not only the aforementioned paid services, but also ad-supported ones such as Spotify’s free tier and YouTube. As I wrote before, streaming’s convenience and affordability makes it more appealing to most people than buying MP3s or CDs. There’s no files to manage or copy; also, the bulk of current and older popular music is available for the cost of a single album each month. That said, I’m reminded of the Oatmeal strip about the state of the music industry. Going from the current status quo in the third panel to the “where it needs to go” fourth panel doesn’t seem to be happening anytime soon. The exception might be independent musicians using services like SoundCloud or Patreon.